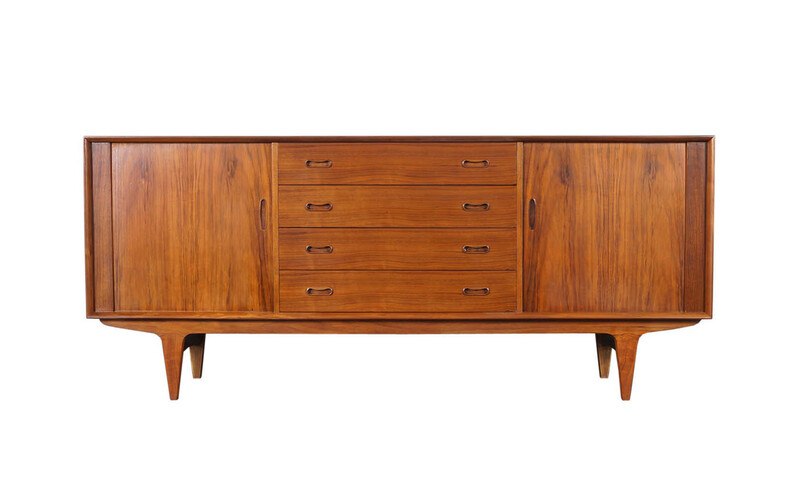 Danish modern walnut tambour door credenza designed by Bernhard Pedersen & Son. Features two tambour doors with adjustable shelves on each end. The middle section of the piece has a series of 4 pull out drawers for additional storage.